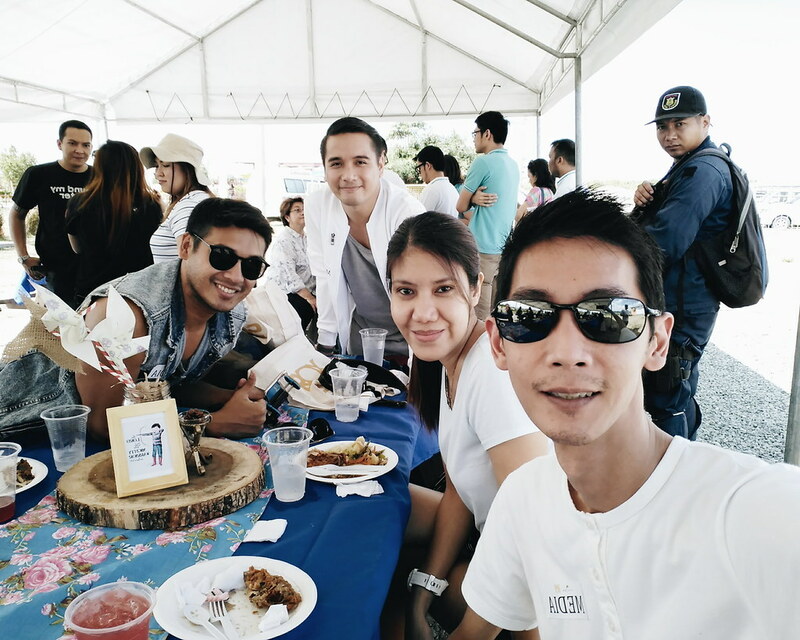 Sandbox in Alviera, Porac Pampanga has recently launched a new addition to their outdoor attractions. 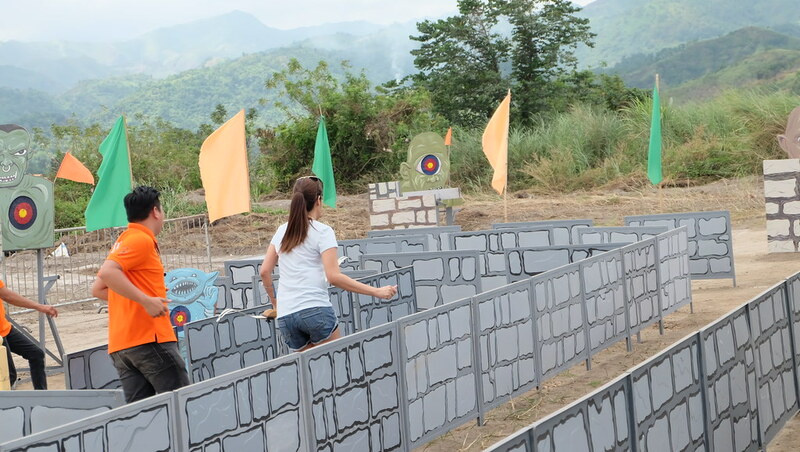 We got to shoot and kill "monsters" in the new Archery Challenge Maze called Aqtiv Archery. 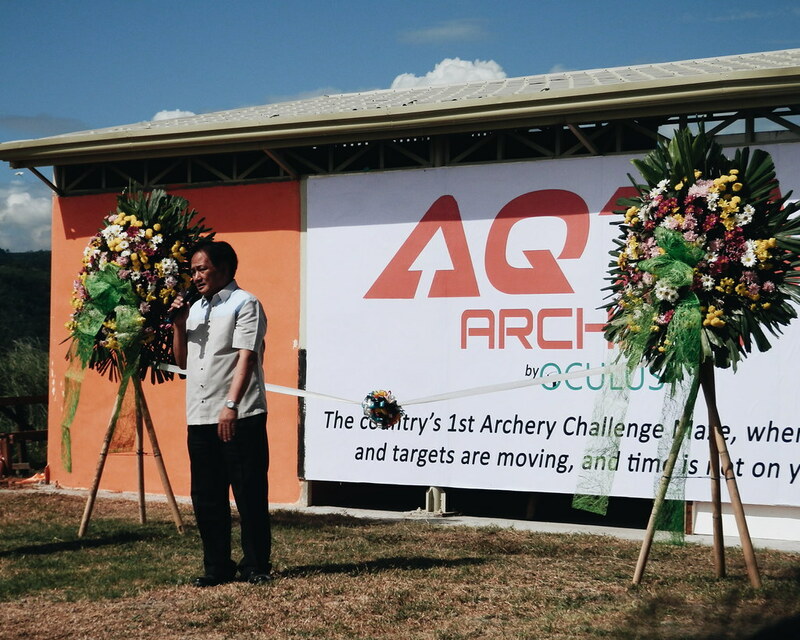 The Aqtiv Archery is operated by Oculus Archery which was first introduced in Sandbox last year (and yes we were there!). 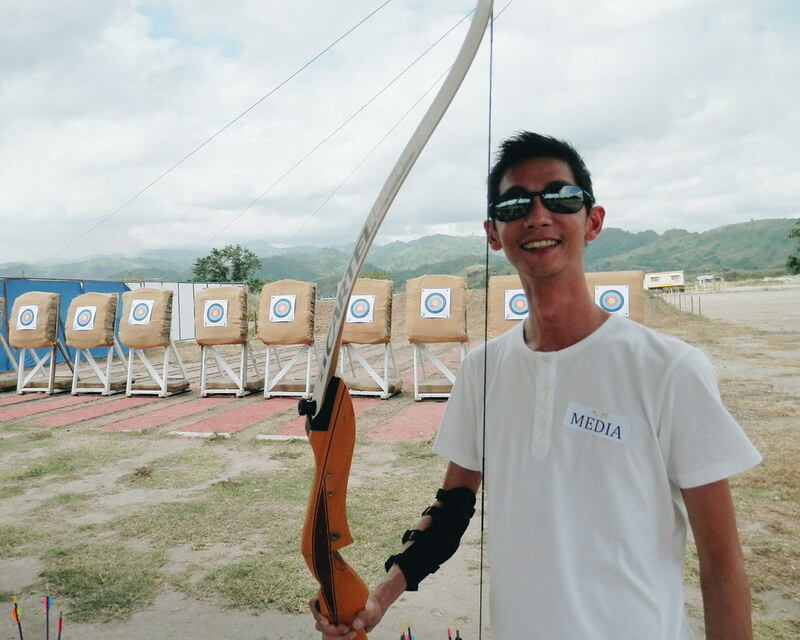 You can read about my Outdoor Archery experience here. 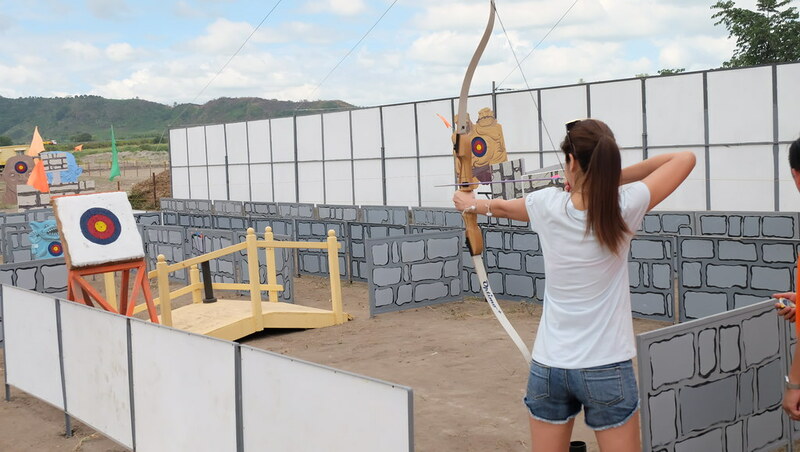 Now what makes the Aqtiv Archery different from the normal outdoor archery? Think of a maze and distracting objects. 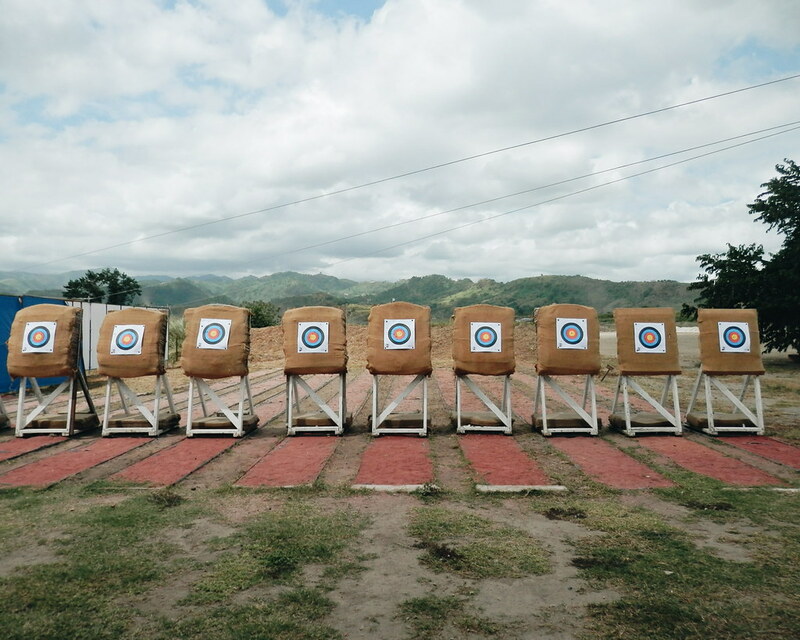 Unlike Target Archery, participants must expect turns and twists in the game. 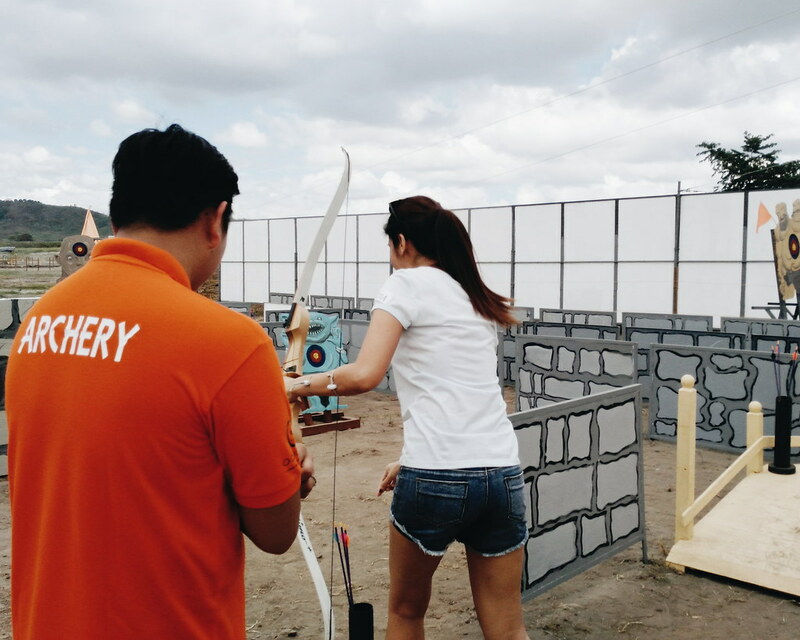 Sandbox let us try the Archery Maze, but first - we had a short briefing and practice shooting. Now let's try the Archery Maze! 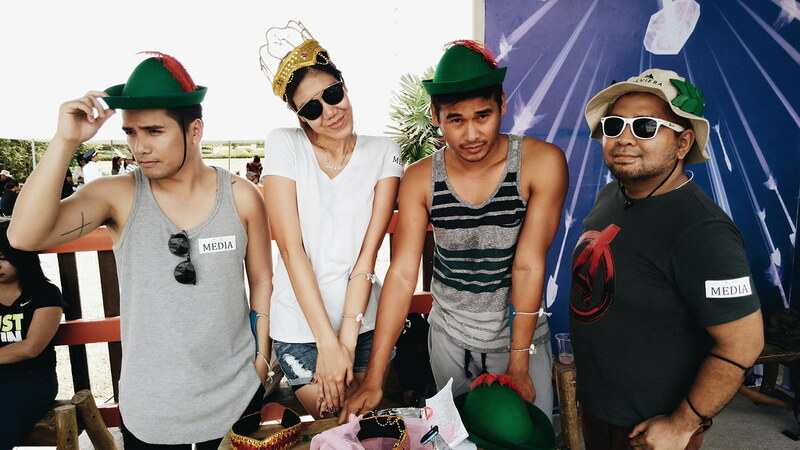 In keeping with the theme, Sandbox prepared fun headgear for participants to wear. The first theme is Monsters of the Wall. We were given 2 minutes to complete the task. We had to step on some pedals to activate the movements of the "monsters" to make it more fun and challenging. My 2 minutes started and I had to make a quick stride to the first point. My first challenge is loading the arrow (!!!!!). But I know I did great in shooting those monsters, I was able to get them on the first shoot! It was crazy going and running around the maze! I could hear them cheering and shouting banters - which made the maze challenge more exciting (you should bring a crazy crew with you!). I wasn't able to complete the challenge (I missed two monsters). The root-cause: I spent a few seconds ensuring I reload the arrow correctly. 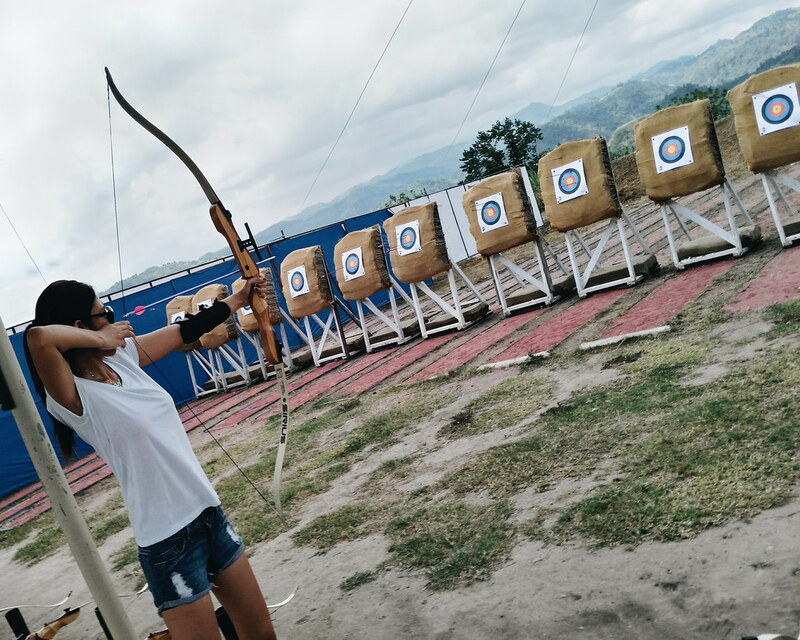 I therefore conclude, more than being good at targeting and shooting, one must also practice quick and correct loading of arrows. If this is a real game, I would have been dead. 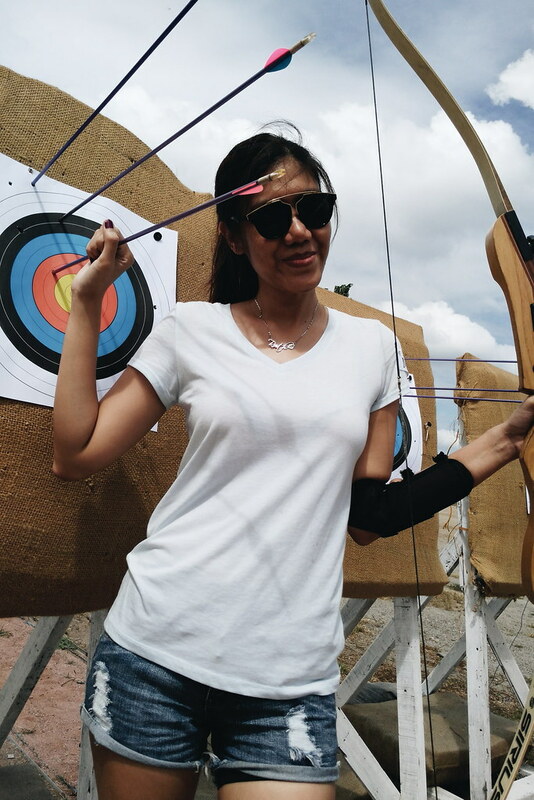 :) Hands down to Katniss Everdeen. 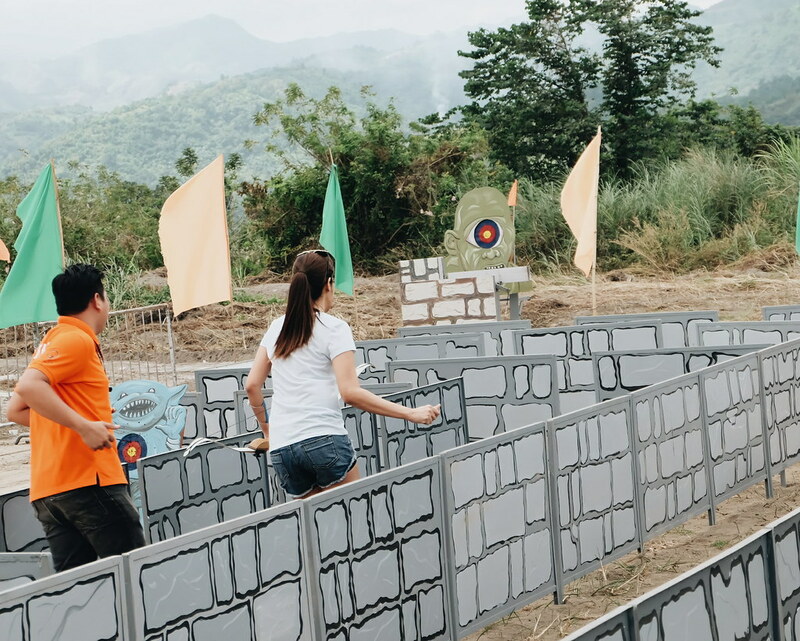 Php 250 per attempt on the challenge maze and a package of PHp 400 includes 30-minute target archery. 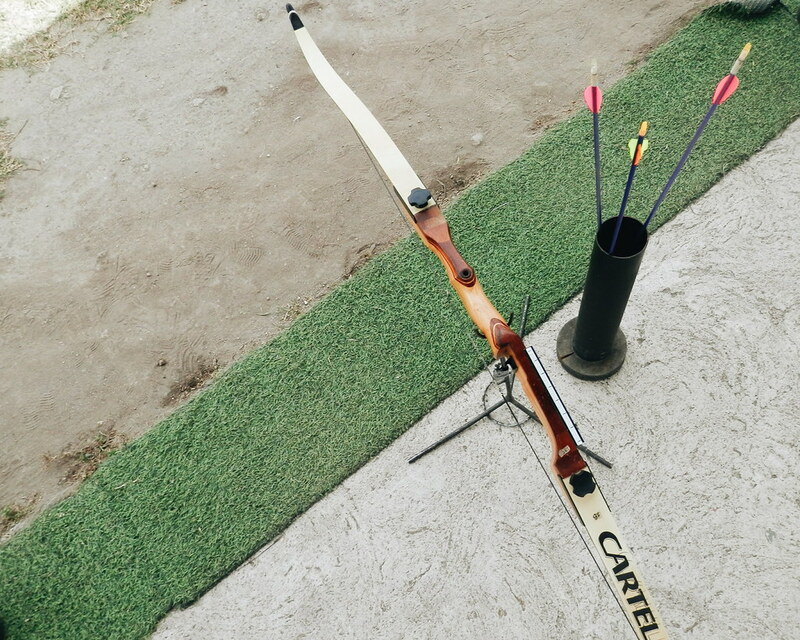 This includes basic lessons, equipment and stationary target. This will assist participants in agility and hand-eye coordination. What to wear for Archery Maze? 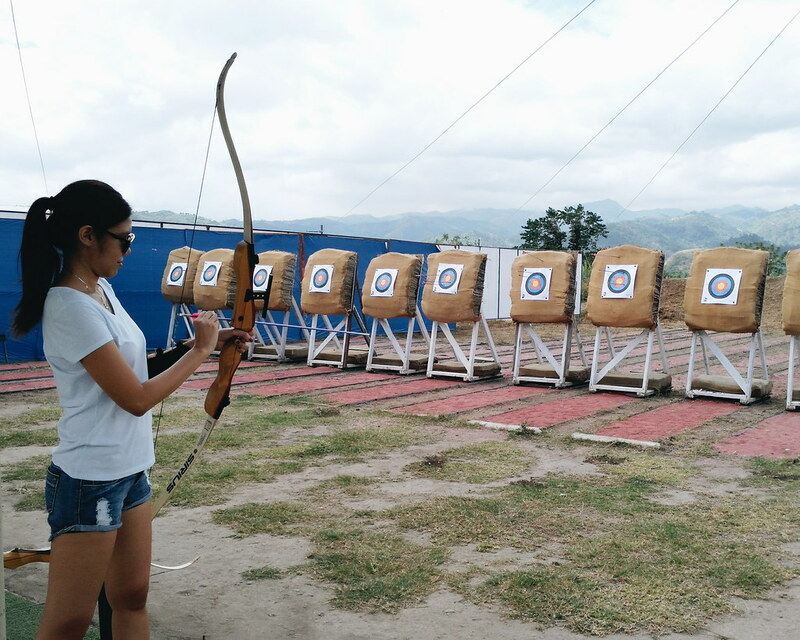 Archers and participants are required to wear appropriate footwear - sneakers or sport shoes. No slippers or sandals are allowed. Wearing of jewelry, loose or sharp objects such as steel, belt buckles or key chains and valuables are not allowed inside the maze. Can Groups Compete with Each Other Inside the Maze? 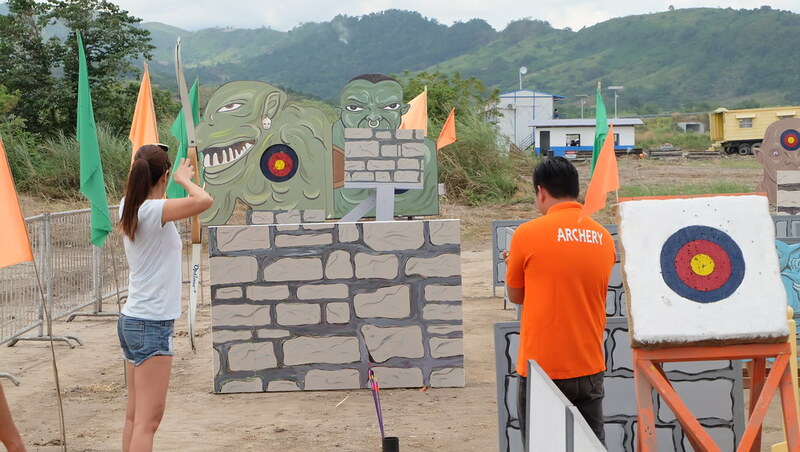 Archers who beat the set time for the challenge will be granted Archery Elite Status and will win tokens from Oculus Archery. Every end of the month, the top 5 Fastest Archers will be showcased. It would have been fun to put that on your instagram! What are the other attractions in Sandbox? Giant Swing, the country's tallest swing at 10 meters. 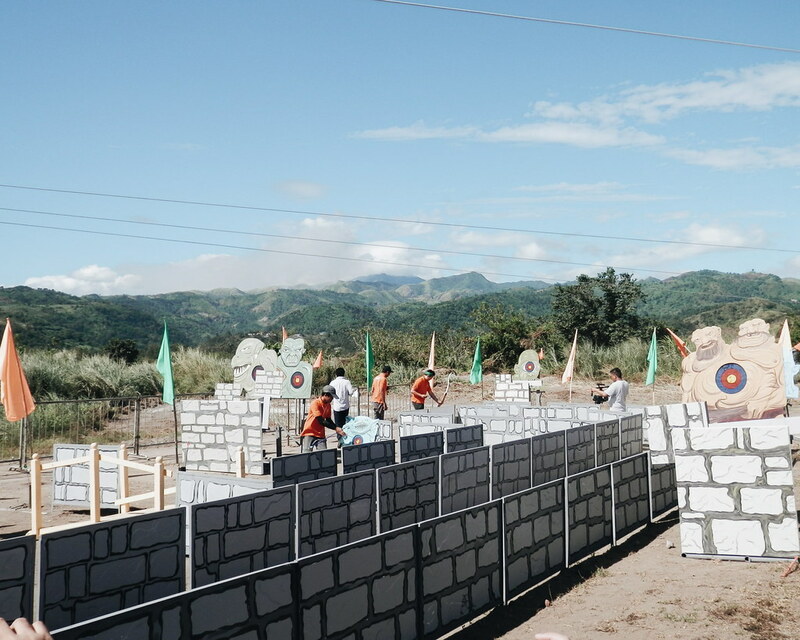 Wall Climbing, Rappelling and Free Fall at Adventure Tower. You can read about these rides here. What are the new attractions in Sandbox coming this 2016? 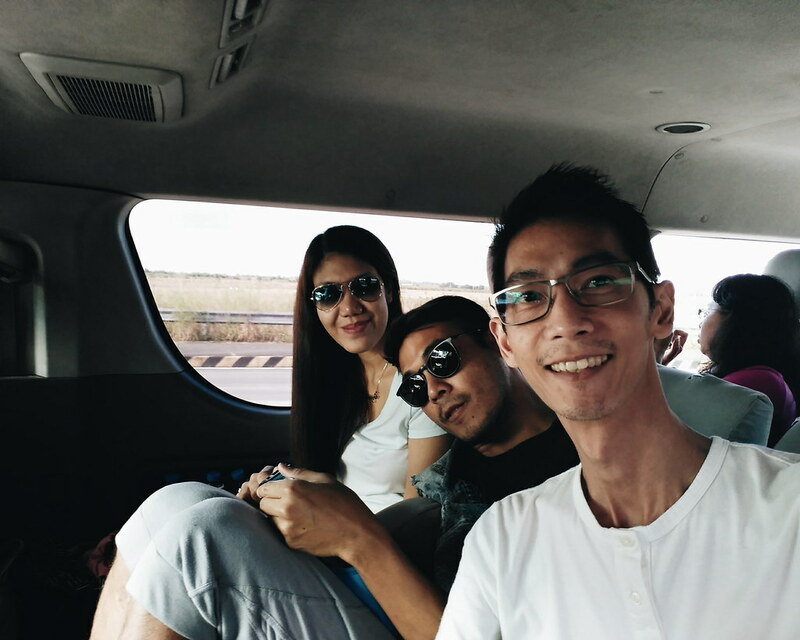 Read more of my adventures and VIP access.